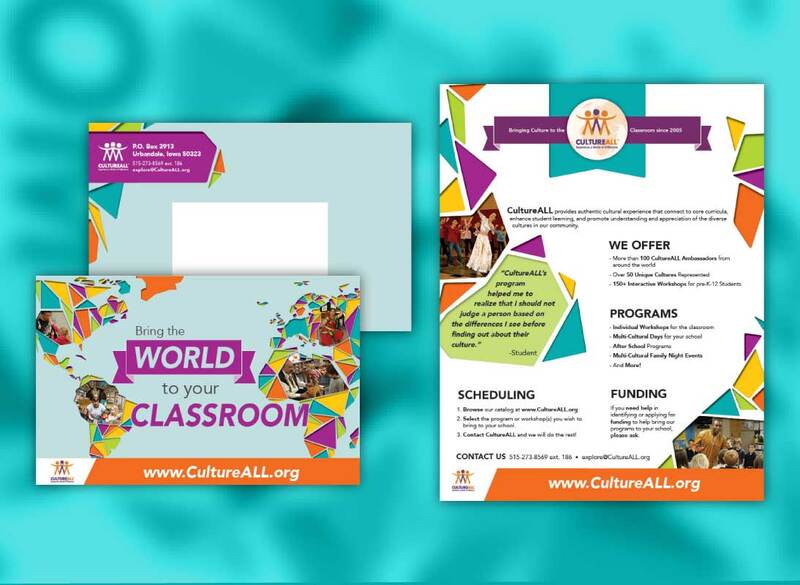 CultureALL is a Des Moines organization that brings speakers from around the world to schools to speak with students about their cultures. The clients requested a mailer to send to teachers to encourage them to utilize what this organization has to offer. They supplied me with their logo as well as a plethora of colors they use in their branding. I created a vibrant, fun and eye-catching mailer with a layout that organized the important information the clients would need. I also included many images to show the variety of programs offered by CultureALL.